Ok, I know what you are thinking…. 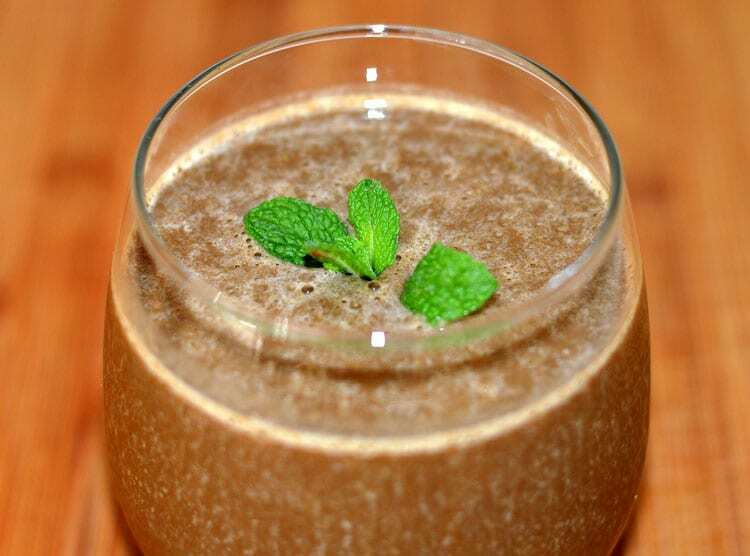 a Chocolate GREEN Smoothie? I promise you, you won’t even know it’s there! After all of that heavy holiday food, I thought a light smoothie may be in order. This one contains just a handful of healthy ingredients. 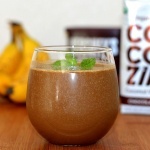 They include: Chocolate-Flavored Coconut Water, bananas, ice, cocoa powder, agave, spinach and ground flax seed. I am also going to try this recipe with my favorite SO Delicious! Almond Milk Vanilla Ice Cream in lieu of the bananas to make a shake out of it. I think that would be pretty awesome as well. You can absolutely not taste the spinach. 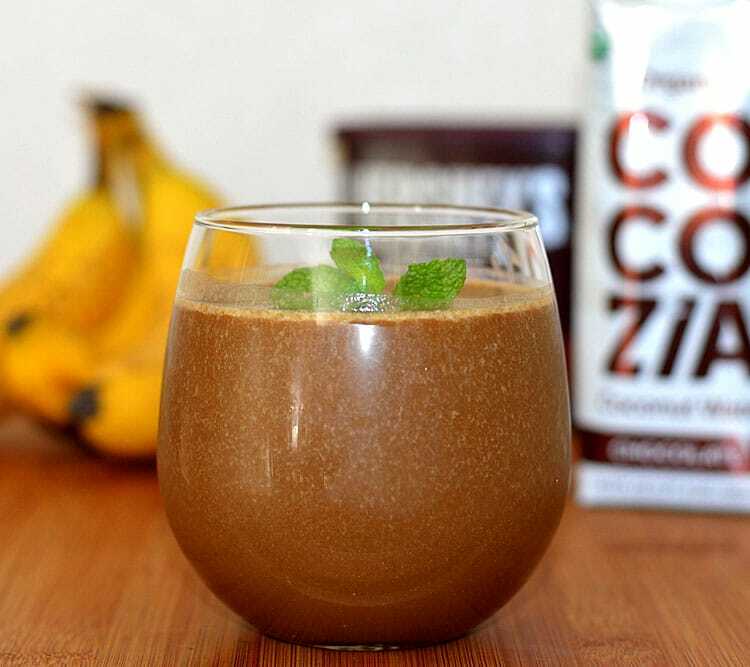 It’s just chocolately goodness that just so happens to be good FOR you. Combine all ingredients in a Vitamix (or other high-powered blender) and puree until completely smooth. Taste for sweetness, adding more agave if needed. ALTERNATE RECIPE: You could also substitute a vanilla flavored dairy-free ice cream for the bananas and make this a shake! Love how quick and easy this is to throw together. This is perfect for mornings where you have absolutely zero time to organize a bunch of ingredients to make a smoothie!